Most of this week in Florida, the weather had gone back in forth between warm to cold and back again, sometimes with variations of 30 degrees or more. Now, normally I hadn’t cared one way or another regarding the elements outside for going to the gym. Though, starting Sunday, I was blessed with a touch of the cold making the rounds with my fellow bipeds. Monday and Tuesday, I had conceded to resting and hydrating. Entering into Wednesday, two of my good friends had wanted to visit La Fitness. One had inquired if any interest? As with most days, I had stuffed my backpack for either a morning or afternoon gym interlude. In my mind, like the weather, I had switched back and forth on deciding on following through on some basic cardio. With the witching hour upon me, I had chosen to go. Either way, I was going to be congested. The logic for going, I had thought, “I’ll be so exhausted afterward quickly succumbing to sleep!” Plus, I had figured another means of working phlegm and other impurities out of my body. The good news was after this outing and each on Thursday and Friday achieving deeper sleep and feeling better. Then, Saturday had arrived. I was key on alternating to swimming for resting my knees joints and legs muscles. I had decided on hitting Winter Park’s La Fitness for their salt water pool. After completing my mundane chores for the day, I had started driving to the gym. 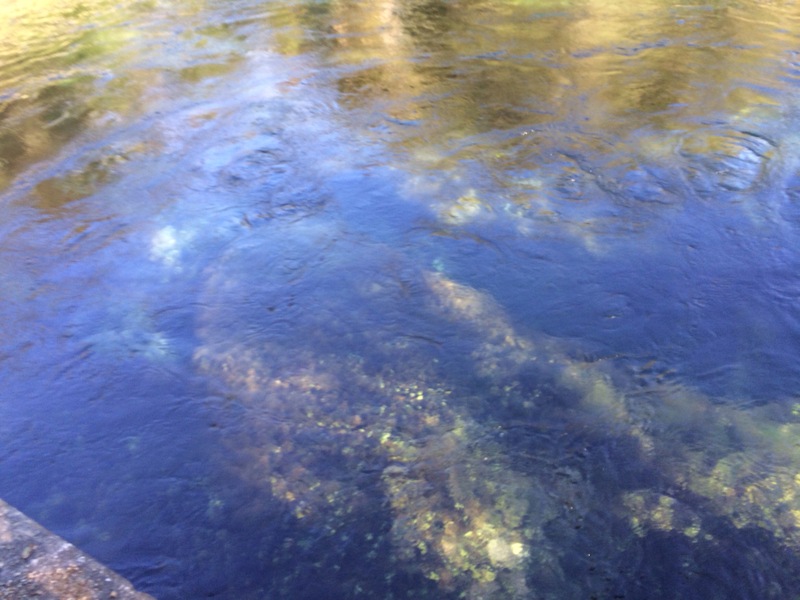 While jamming to tunes on my iPhone, a friend had texted me up about visiting Wekiva Springs. My immediate response was absolutely. I had pondered hitting one of the state parks during the weekend anyway. With all the weather fluctuations in Florida recently, some people had wondered, “Why bother?” Well, if you were in one of the snow ridden states today, Wekiva Springs constantly maintains a 72 degree temperature. For some folks maybe too cold but, as another park visitor had eloquently responded later in the day, “Warmer than the North Atlantic!” Picking up my pal, we had driven out to the park. The sun had started breaking through the clouds shedding heat and light. It had reminded me of the early days of spring. At the gate, the park ranger had stated “That doesn’t look like you?” while looking at our park pass without a photo ID. I had followed up by turning the card over pointing to a big yellow flower on the opposing face. He then had smiled big waiving us forward. This entry was posted in Health and tagged 72 F degree water, central florida, Fresh Water Springs, Swimming. Bookmark the permalink. Cheat Day with double dipping hot dogs and Oreos!